It’s tough to make a full-time business out of your blog, but that’s exactly what Jenny Melrose has done. 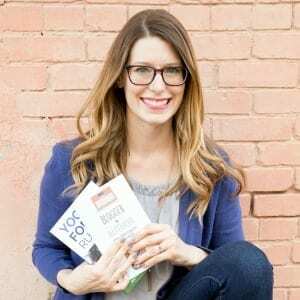 She built her business by diversifying her income, including streams of revenue like sponsored posts, ads, and courses. And, she definitely knows how to use social media and other marketing methods to her greatest advantage. Today, I’m talking to Jenny about what she feels is the best marketing tool out there right now – live video. In our interview, Jenny explains why she feels that live video is so important, and she gives some great tips for beginners to help them get started. If you’ve ever thought about doing live video but the idea seems terrifying and overwhelming, you’ll love this episode. Bloggers and authors, learn how you can make the most of #livevideo to sell more books and grow your business with these great tips from @jennymelrose! Get Jenny’s Live Video Equipment List here!